Last week’s Live On The Green drew the biggest crowd in the annual free festival’s history, thanks to the sweet tunes of Alabama Shakes. Check out our photos of the Shakes, The Apache Relay, and Fly Golden Eagle after the jump. Tonight’s show is headlined by the bluegrass pickin’ Trampled By Turtles with support from The Kingston Springs and HoneyHoney. The music will kick off at 6:45 PM, but come early to stake your spot! We’ll see you there! 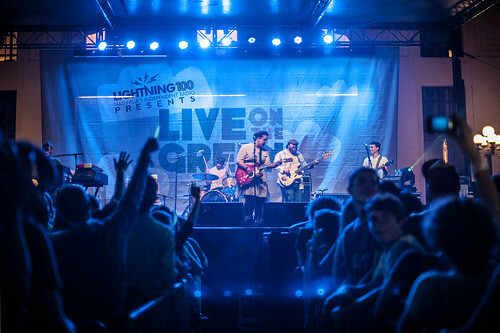 Photos of Week 4 of Live On The Green by Kate Cauthen, featuring Alabama Shakes, The Apache Relay, and Fly Golden Eagle. View more photos here.